The new GIVI site is now online! The innovative Givi website has once again been designed to guarantee a high level of engagement and practicality for the visitor. In addition to the great effect of its graphic design, it has been optimised and designed for easy use on different kinds of mobile devices and displays of different formats. It has a new simple and intuitive menu and a home page filled with content. 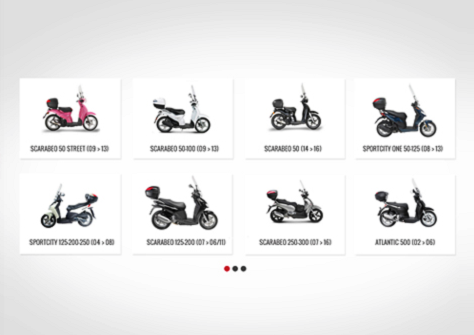 From the main menu you can browse 3 separate sections, one is entirely dedicated to Givi products, one to the company and its communications and a third to the configurators, very useful tools for the user. In the “Products” section the user can quickly find all the product categories offered by Givi and can filter the actual category by range or intended use. 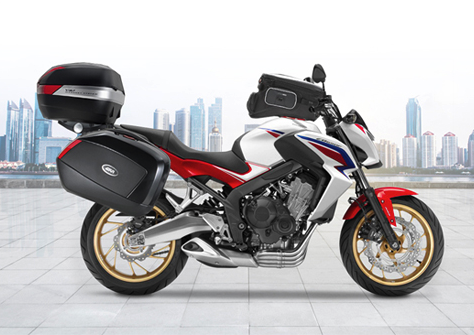 The “Configurator” section offers a renewed version of the “For your Bike” section, thanks to which the user can search for their bike and check the availability of Givi accessories created for that specific model, as well as be referred to the actual configurator, making it possible for users to equip their bikes with the brand’s accessories, so that they can enjoy an experience that is fully customised and customisable.. The “Givi World” section is also available from the main menu. Here the visitor can find information about the company and all the latest news from Givi, thanks to a constantly updated news section and much more. Our aim was not just to create a virtual showcase to display Givi products, but also to share our passion for the world of motorcycling, to offer the chance to enjoy a unique and engaging experience, in keeping with the communication trends of today!